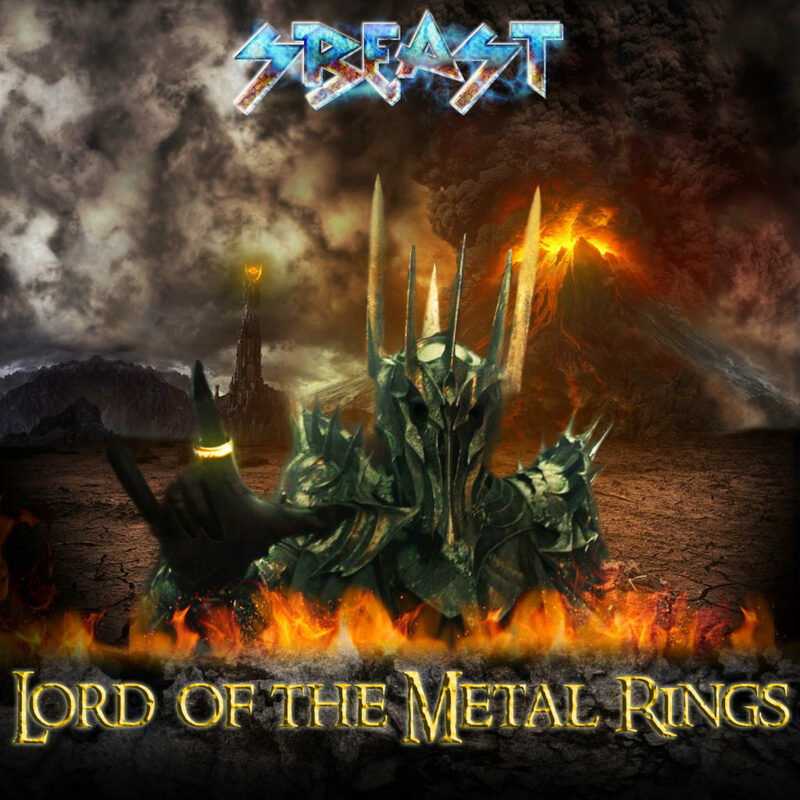 A free metal arrangement album of music from the Lord of the Rings trilogy. The films of the Lord of the Rings trilogy remain my favourite of all time and they actually had a profound effect on me when I originally watched them. The music stood out especially and has greatly influenced me, so I decided to make a tribute to the score of those films in the form of a metal arrangement album. This album is the culmination of several years of time and effort which involved deciding on a track list, learning the original songs, arranging, recording, mixing, filming, editing, making tabs and writing a commentary once is was completed. This album is available (as promised) to all free of charge. If you find that you enjoyed it, please consider either donating or supporting me in other ways such as watching my content and sharing it with others. You may also use any of these songs for non-profit uses such as (youtube video, flash animation) as long as I am credited in the video/description. I chose to order the tracks of the album to reflect the journey of the characters: start with the Ring’s theme and end with “Into the West”. I also tried to include a variety of metal sub genres, rather just stick to one or the other. I wanted to include elements of power metal, melodic metal, heavy metal, groove metal and the one used would depend on the feel or style of the original song. Making this album was both very enjoyable and proved to be a great challenge at the same time. A problem that I encountered on several of the songs was repetition. Because some of the themes and cues that I decided to arrange were relatively short, I had to figure out a way of turning them into full songs without using too much repetition. The theme of the Ring, for example, is a short melodic phrase played over two chords, which tends to play whenever the ring appears on screen. My task was to take that short motif and turn it into a 3-4 minute song. The first thing I did was to create several variations of the theme, making changes to articulations, playing styles, harmonies, drum rhythms and instrumentation. I found some material in the song “The Great River”, which plays leading up to a bold statement of the Ring theme. Lastly, I made the decision to include one of Gollum’s themes, as the character strongly relates to the ring and his melody seemed to fit quite well. The final song stands at 3:39, with reasonable amounts of variation as the song progresses: mission accomplished. The White Hand of Saruman is another example of a song I had to be creative in trying to avoid too much repetition. This is actually a really good exercise in arranging and composing, which I recommend to other musicians. The track “Where the Shadows Lie” (which is an arrangement of the Mordor/Sauron theme) was one of the more time consuming arrangements, which had countless revisions and I almost left it out in the end. Eventually, I had a few break through moments and once the arrangement finally fell into place, it ended up being my favourite song on the album. There’s a lesson to be learnt there, I’m just trying to figure out what it is, something to do with perseverance I guess. Making the album I also learnt many things and improved some of my existing skills regarding arranging, composing, orchestration and transcribing. Another realisation I had midway through the album was that many times I would be pleased with how my arrangement turned out and yet it still didn’t come close to the original in terms of overall quality, dynamics and feel. I also began to realise the strengths and weaknesses of metal as a genre when compared to a full symphonic orchestral. The range of dynamics and tonal options you have available are very limited and you are also restricted by total number of voices. A full orchestra can create innumerable combinations of sounds, has a huge dynamic range and is extremely versatile, whereas the standard setup of metal music is somewhat more limited in these aspects. I added a few sound effects and sound clips into some of the tracks, which correspond to iconic moments in the films or they just sounded good. A Ringwraith, the Balrog, the Uruk-Hai leader, The Ring, Sauron, Gandalf, Saruman, Theoden, Pippin and Treebeard all make brief appearances.